Spiritual energies change constantly and with these energies come new mystical teachings. We are now in a time of accelerated learning and we have to move quickly to change and absorb all the knowledge which is being brought to us. The word mystic means hidden and we are now being given access to ancient teachings as they are being brought again to our planet. Through the guidance of all the spiritual teachers, the masters, the angels, extra-terrestrials, gods and goddesses and many more you can now keep up to date and receive continual information and spiritual direction wherever you are. Everything is energy and words contain vibrations, so you not only receive the information you will also take in the energy of the spoken word which in itself will lift you in consciousness and connect you to the masters in spirit. These teachers will be present with you and accompany you on your journey as you evolve spiritually through each workshop. Your feedback is welcomed & appreciated. Each workshop length: 30 minutes divided into 3 parts. Introductory Offer For Only £1.99. 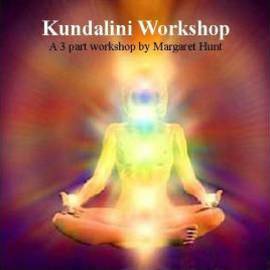 A 3 part workshop designed to teach you about kundalini energies. The energy of the spiritual teachers Thoth and Quetzalcoatl accompany the teachings. Part 1: What is kundalini? Including a meditation to awaken inner energies. Including a meditation to receive transmissions from the cosmos. A New Workshop For £4.99. 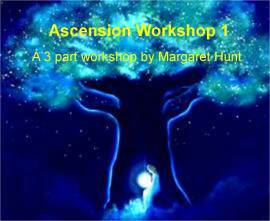 A 3 part workshop connecting you to the new ascension energies. Part 1: Bringing in the new energy which is a blend of every colour imaginable and then being transported out into the cosmos. You will travel along the galactic highways to meet our star brothers and sisters. Part 2: Connecting to a golden angel as preparation for a profound connection to your soul. A deep healing of old emotional patterns takes place. Part 3: Understanding the unity of everything as taught by the Buddha. Becoming one with the bodhi tree and then meeting your team of spiritual guides.